, ENTPs show a brain pattern where the neocortex is active all over, and each region is high-amplitude and out of synch with all the other regions. When ENTPs use this process, they can channel observations from brain regions that other types wouldn’t consider using. As Nardi says in his book, “For most people, hearing the words “dog” and “cat” will evoke auditory regions like T3 and perhaps some visual or memory regions like O1 or C3…..However, the Ne types get busy using all regions to tap relationships across situations, perhaps suddenly imagining a story about two brothers, one of whom is faithful and sociable (like a dog) while the other is independent and quiet (like a cat). They might wonder about dog and cat writing styles too!” This creative mental process allows ENTPs to come up with surprise insights and innovative ideas that other types would struggle to generate. , ENTPs use brain region P4 more than any other type. This brain region is the site where we distinguish ourselves in space, generate strategic solutions, and use non-verbal reasoning. 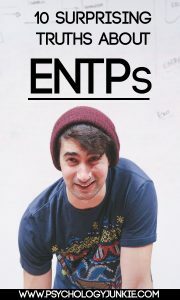 According to the MBTI® Manual, ENTPs are overrepresented among those having Type A behavior. Surprisingly, this trait lines up with neuroscience as well! ENTPs have very energy-intensive thinking that utilizes all neocortex regions regularly. As a result, they can come across as hyperactive, always thinking, always mentally in motion. It’s harder for them to just “chill” than it can be for many other types. In a test group*, ENTPs (along with ENFPs) had the highest level of coping resources of any of the types. They reported the lowest stress levels in relationship to children, intimate relationships, and health. They also reported very low levels of stress related to caring for aging parents, balancing home and work, and “other”. Because ENTPs are always ready to brainstorm, innovate, and find creative solutions it makes sense that they would be optimistic. Even in trying situations, their brain is ready to strategize a new, innovative solution to the problem at hand! Okay, no surprises on this one! According to the MBTI® Manual, ENTPs rank highest on two out of three measures of creativity. 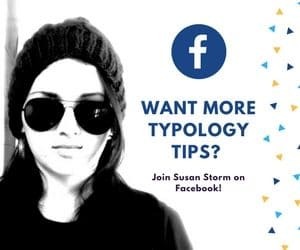 This coincides with Dario Nardi’s study on type and brain activity. He found that Ne-dominant types rely heavily on brain regions that support imagination and creativity. A lot of people imagine that thinking types are more likely to be interested in technical, data-driven fields while artistic expression is more related to emotion and feeling. The truth is much less “black and white” than that. Many thinking types enjoy using art as a creative expression of their thoughts and ideas. According to the MBTI® Manual, ENTPs prefer the subject of art in school, and they also seek jobs that involve using artistic creativity. Contrary to popular belief, ENTPs are not consumed with being around people 24/7. These types value autonomy and independence greatly and are considered one of the more introverted extroverted types. That said, they definitely enjoy socializing when it involves discussing possibilities and ideas, or debating views about the universe and politics or any other fascinating (and perhaps contentious) subject. While unhealthy ENTPs may enjoy “trolling” just for the fun of it, most ENTPs are truly energized by the mental sparring involved in a debate. They see so many sides to an argument that they feel a compulsion to call out individuals who are tied to one single view. They usually don’t have an emotional investment in the argument, and they are rarely out to hurt anyone’s feelings. Their main goal is usually to show an alternate side to an argument, or to get to the core truth of an issue. Related: Is Arguing Your Child’s Learning Style? ENTPs who experience extreme amounts of stress may fall into the grip of their inferior function, Introverted Sensing (Si). When this happens they can become abnormally focused on bodily sensations and worry that they are suffering from a life-threatening illness. They can also develop tunnel vision and become obsessed with doing things “by the book”. This is extremely confusing for them because it is so contrary to how they normally behave. Do you have any fun facts about ENTPs to share? Let us know in the comments! Other Articles You Might Enjoy! Right on! This is a great blog. Thanks for sharing! As usual Psychological Junkie has nailed it! As a typical ENTP, I will always find some caveat of doubt in any argument or presentation of presumably authoritative fact. This doubt serves as a ‘hook’ of interest that keeps me engaged in the subject matter. Without doubt, without an innate predisposition towards skepticism I simply put credible arguments into the ‘starred’ category of memory and leave it alone. Credible double creates a creative mindset, an itch that cries out to be scratched. Like picking at a scab, or popping a zit, ENTP’s will never let ‘well enough alone’. This ‘nit picking’ creates the context for a ‘stream of consciousness’ style of ‘associative thinking’ where each layer of analysis is wiped away in order to allow for the fresh perspective to emerge. Even as I write this, my temptation to allow ‘run-on metaphors’ to dominate my mind must be willfully suppressed lest it turn into a ‘flight of fancy’. A ‘global consciousness’ that is validated by the ‘brain mapping’ of neuroscience is hard to corral. An ENFP might respond to anxiety like a stampede of wildebeest on the African savanna, while an ENTP’s fears are tamed by a rational breeding program of conscious design. The feral nature of emotion on consciousness precludes focused thought toward the solution of dangerous problems. A globally aware consciousness that remains untamed creates an overwhelming imagination and an inability to sort through the underbrush of perception to find the source of unconscious dread. Since emotionality is the default setting of instinctual behavior in animals, the real question for neuroscience is the why and wherefore of genetically based rationality? Why is the ENTP the model of equanimity and an ‘happy go lucky’ worldview? Is an ENTP really the fictional prototype for Voltaire’s Dr. Pangloss, the metaphysical philosopher of CANDIDE? Why do ENTP’s with a decidedly high anxiety threshold like Pangloss insist that “we live in the best possible of all worlds”? Voltaire’s skepticism at this proposition was understandable given the horrific lives that humanity faced in the chaos of a post-revolutionary France, but what hopeful futuristic vision is enabled by rational analysis as opposed to emotional fatalism? Why does the balancing test of rationality provide the motivation for technical solution to imponderable problems? Once neuroscience answers these fundamental questions, they will have ‘hooked’ this white whale of ENTP anti-authoritarian attention.